The app itself appears to have all the same menu options and settings. 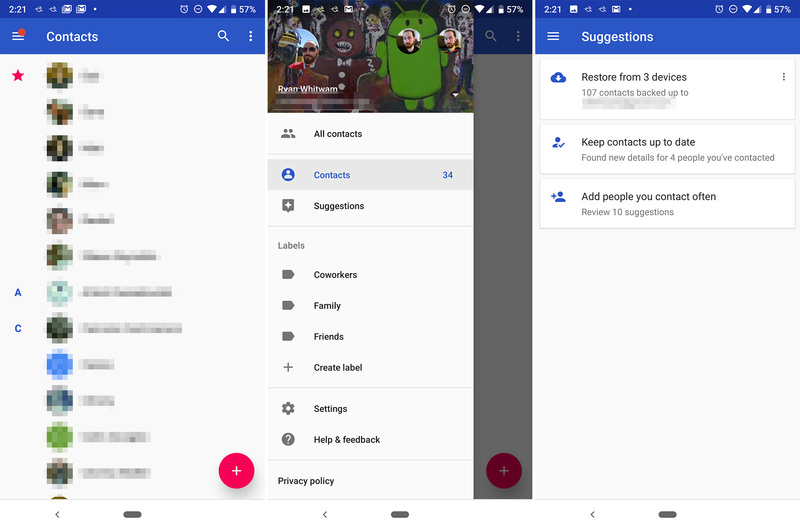 The difference here is that it adopts Google's new Material Design style. The blue top bar is gone, replaced with a white section that transitions seamlessly into the scrollable contact list. The navigation drawer is still there, but the icons are the new wireframe material style. See below for a peek at the old app. This updated style has been colloquially known as Material 2.0, but Google still just calls it Material. The process of creating your own distinctive style is Material Theming. Developers are not tied to this all-white UI, but that's Google's approach. 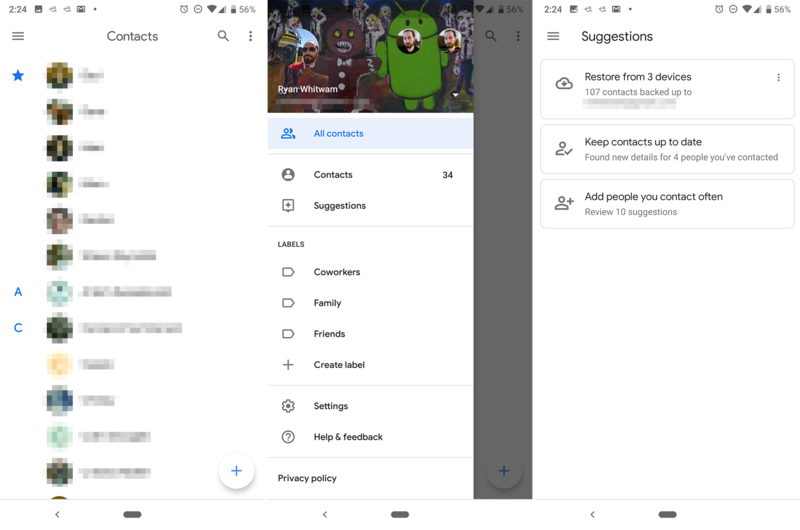 With the launch of Pie, we're seeing a lot more of this light UI style, and now the Contacts app fits in. The app will continue rolling out in the Play Store, but we've got the update on APK Mirror if you don't want to wait.